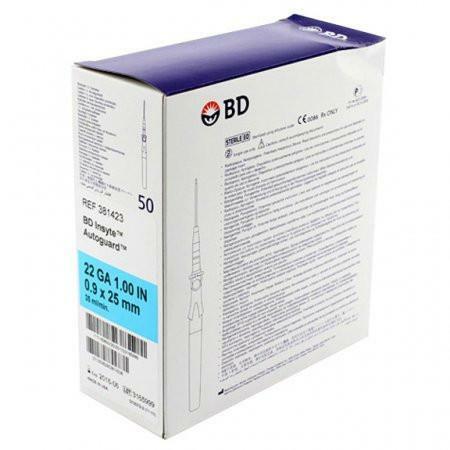 Becton Dickinson & Company BD Insyte Autoguard Shielded IV Catheter (0.9 mm X 25 mm) 22 g X 1.00 in. Made of BD Vialon Biomaterial. Has Notched Needle. with the Push of a Button, the Needle Instantly Retracts Reducing the Risk of Accidental Needlestick Injuries. BD Vialon, a Unique Proprietary Biomaterial, Has Been Proven to Enhance Clinical and Economic Outcomes. Increases the Ease of Penetration. Reduces the Risks of Infiltration. Exhibits Greater Kink Resistance. Reduces the Risks of Phlebitis Up to 50%. Reduces IV Restarts Due to Reduced Complications. Increases Indwelling Time. Reduces the Total IV Therapy Costs to Use Due to Longer Indwelling Times. Notched Needle Technology Provides Rapid Visualization of Blood Return Along the Catheter Shaft. 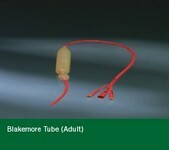 It Is an Excellent Choice for Fragile Vessels or Vessels That Have Lost Venous Tone. Any Chronically Ill Patient Who Has Compromised Vein Status. Neonates, Geriatrics.